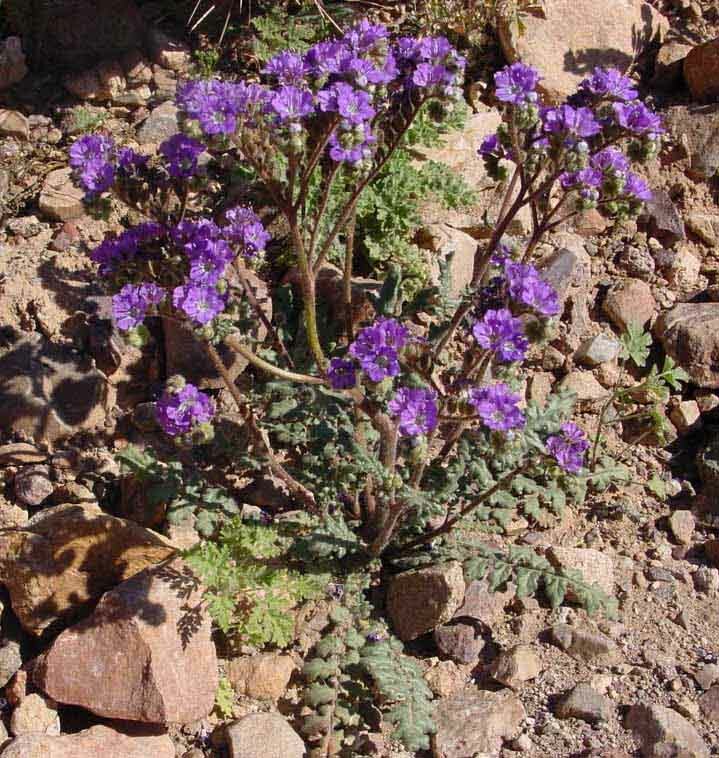 There are some 38 species of Phacelia in Arizona, and we are not yet confident in distinguishing them. 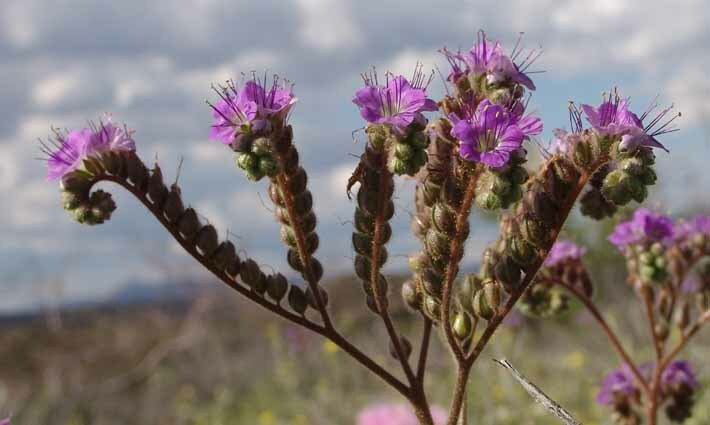 Various ones have popular names like "Scorpionweed" (because of the analogy of the curling flowerhead to a scorpion's tail), "Desert Bluebell", and "Wild Heliotrope". The leaves of the plant below suggest the "Tight Phacelia" (Phacelia congesta), but our camera resolution is inadequate to be sure. These flowers, below, also fit the congesta in having a white interior, but we neglected to film the leaves.